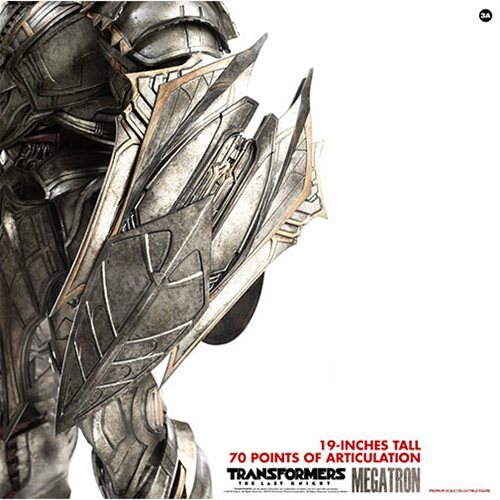 Includes an interchangeable battle mask, extended horns, detachable small horns, the Brute Sword, and a Brute Shield. 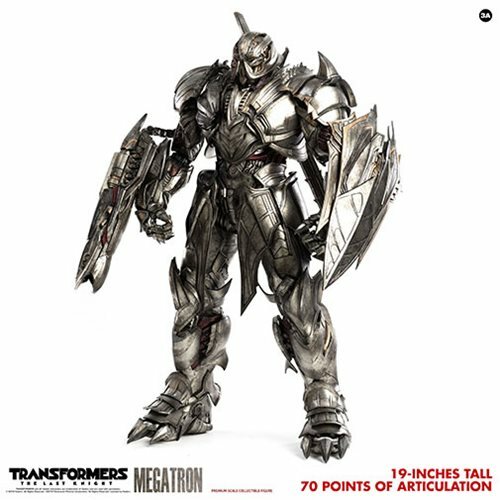 From the 2017 sci-fi action film Transformers: The Last Knight, comes an amazing 1:6 scale action figure of the mighty Megatron. 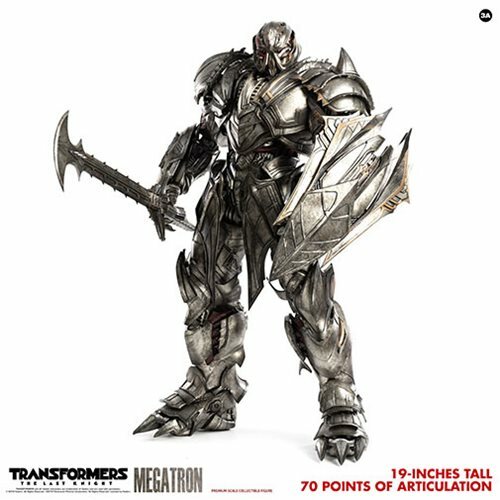 This sweetly detailed action figure stands about 19-inches tall and boasts 70+ points of articulation. His LED-illuminated eyes are an added electronic element that greatly enhances the overall look of the Decepticon, and accessories include an interchangeable battle mask, extended horns, detachable small horns, the Brute Sword, and a Brute Shield. The Fusion Cannon is also LED illuminated. 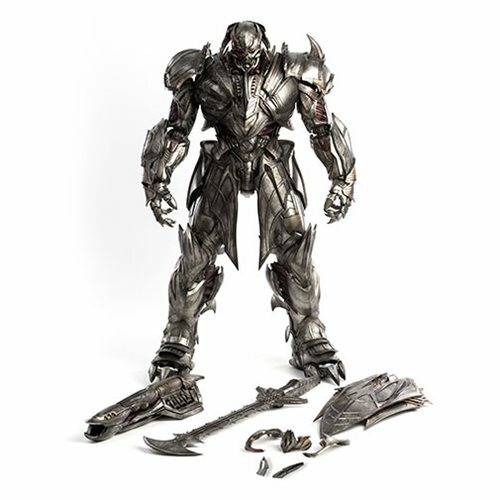 This Transformers: The Last Knight Megatron Deluxe Version 1:6 Scale Action Figure requires 4x "AG-13" batteries, not included.